We often have a lot of questions about IELTS which are not always explicitly answered, and we end up searching in Google for hours. To save your time and solve all your doubts, we have curated a bunch of questions and tried to answer them clearly. this will give you some clarity about the International English Language Testing System. IELTS is a test of English that you need to write for your Visa to travel to English speaking countries. How many types of IELTS tests are there? There are two types of IELTS: Academic test and IELTS General test. What is the difference between IELTS Academic and IELTS General Training? IELTS Academic is the test you need to write to go abroad for higher studies, while IELTS General Training is written for job-related purposes. IELTS Academic and General Training follow the same pattern of testing, however, the difference lies in the content of the IELTS Writing test between the Academic and General Training tests. The IELTS test is divided into four parts: Listening, Speaking, Reading and Writing. While the listening, reading and writing test is conducted on a single day, the speaking test is often conducted on a separate day (a week prior to or after the other tests). Are the IELTS listening, reading and writing tests conducted on one go or with breaks? The IELTS listening, reading and writing tests are conducted in this sequence consecutively without a break in between. Is IELTS a computer-based or a pen and paper test? In India, IELTS is essentially a pen and paper test. If you are writing IELTS from other countries, do contact your local IELTS authorities and clear this doubt. Should I use a pen or pencil for the IELTS test? You are to use a pencil to answer the IELTS listening and the reading section. You can, however, choose to answer your IELTS writing section with either a pen or a pencil. Can I use capital letters to answer IELTS questions? Yes, you can. In fact, if you are not really aware of the rules of CAPITALIZATION in English, it is always better to write the entire test in all CAPS. How many times can I write the IELTS test? You can write IELTS as many times as you want. IELTS is scored on a scale of 0-9, where 9 is the highest and represents your English to be as good as that of a native speaker and 0 stands for a non-English speaker. How long is the IELTS test score valid? The IELTS Academic score is valid for two years. The validity of the IELTS General Training score, however, depends on the organization you work for. When do the IELTS test results arrive? The IELTS test results arrive two approximately two weeks after your test date. Can I get my IELTS score rechecked? Yes, you can. You can apply for rechecking your IELTS test score within six weeks from the date of your test. Can I get only one module of my IELTS score rechecked? Yes, you can. Whether you apply for the rechecking of one module or all the four, the charges are the same. Do I need to pay for rechecking my IELTS score? Yes. Please contact your exam centre to find out the charges. In this section, we have tried to answer your questions per module. For example, questions about each module: Listening, Speaking, Reading and Writing, have been answered separately in the following sections. What does the IELTS Listening section test? The IELTS listening section tests how well do you understand oral English and the different accents of the language. How many sections are there in the IELTS Listening test? The IELTS Listening section consists of four subsections. The context of the first two sections is more general, while the context of the last two sections are more academic in nature. How many questions are there in the IELTS Listening test? There are 40 questions in this test: 10 questions per section. What is the duration of the IELTS Listening test? The IELTS Listening test is 40 minutes long. The audio will play for 30 minutes and you will get 10 minutes to transfer the answers on to the answer sheet. How many times can I listen to the audio in the IELTS Listening test? You can listen to the recording only once. So, listen carefully while the audio is still on. Do the answers come in order in the IELTS Listening test? Yes, the answers always come in order in the ITEMS Listening test. However, do look out, cause you can never be sure. Do I lose marks for incorrect answers in the IELTS Listening test? There is no negative marking, and as such, you do not lose marks. The mark for that question will just not add up to your score if it is wrong. Therefore, you should never leave any question and guess the answers, if required. Is spelling important in the IELTS Listening test? Yes, it is. Your answer is considered incorrect if there is a spelling mistake. What does the IELTS Speaking section test? The IELTS speaking section tests how well do you speak English and can have a conversation in a “face to face” interview form. The scoring is done on fluency, grammar, vocabulary and pronunciation. The IELTS Speaking section consists of three subsections. The first is an introduction section. In the second section, you are to talk on a particular topic and the third section is a discussion section, based on the content of the second section. How many questions are there in the IELTS Speaking test? There are 12 questions asked in the first section and can be multiple questions in the third section, depending on how your response is. What is the duration of the IELTS Speaking test? The IELTS Speaking test is 11-14 minutes long and is held on a separate day usually. Can I choose my topic in the second section of the IELTS Speaking test? No. The topic will be given by the examiner. However, to help you, there will be a cue card to guide you with prompts. Do I have to follow the cue card in the IELTS Speaking test? Not necessarily. You can choose to speak on your own and not consult the prompts. What will happen if I don’t understand the question in the IELTS Speaking test? You can always ask the examiner to rephrase the question in the IELTS Speaking test. Will I lose marks because of my Indian accent in the IELTS exam? As long as the examiner can understand your English, you have no reason to worry. However, if the examiner doesn’t follow your English, your score will be affected. What does the IELTS Reading section test? The IELTS Reading section tests how well do you understand written English and the different layers of meaning of the language. How many sections are there in the IELTS Reading test? 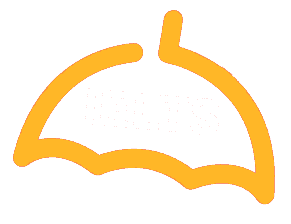 The IELTS Reading section consists of three subsections. The content of the Reading test differs between IELTS Academic and General Training. IELTS Academic has three sections with one passage each, while IELTS General Training has three sections with two to three smaller passages in each section. How many questions are there in the IELTS Reading test? There are a total of 40 questions in this IELTS Reading test. What is the duration of the IELTS Reading test? The IELTS Reading test is 60 minutes long. The IELTS Reading test keeps getting tougher as you proceed in the test, and thus, it is always better if you take the least amount of time in the first subsection and slowly increase the time invested as you proceed in the section. Do I lose marks for incorrect answers in the IELTS Reading? There is no negative marking in the IELTS test, and as such, you do not lose marks. The mark for that question will just not add up to your score if it is wrong. Therefore, you should never leave any question and guess the answers, if required. Do the answers come in order in the IELTS Reading test? Yes, the answers always come in order in the IELTS Reading test. However, do look out, cause you can never be sure. Is spelling important in the IELTS Reading test? What does the IELTS Writing section test? IELTS Writing tests your Grammar, Vocabulary, Punctuation, Spelling, Linguistic Range and Coherence. How many sections are there in the IELTS Writing test? There are two parts of the test. In IELTS Academic, you are to describe an image in the first section and write an essay in the second part. In the case of IELTS General Training, the first task is of writing a letter and writing an essay in the second task. How many questions are there in the IELTS Writing test? There are two questions in the Writing test. What is the duration of the IELTS Writing test? You get 60 minutes to complete the Writing test. How many words do I need to write for the two tasks of IELTS Writing? You need to write a minimum of 150 words for Task 1 and a minimum of 250 words for Task 2. However, make sure you write around 180 and 280 words for the tasks respectively. What kind of images am I supposed to describe in Task 1? In the IELTS Academic Writing test, you might be asked to describe a bar graph, a double bar graph, a pie chart, a diagram, a table, etc. What kind of letters comes in the IELTS Writing test? There are three kinds of letters you might come across: formal, informal and semi-formal. A formal letter, for example, can be a complaint letter. A semi-formal letter can be a letter inviting your boss to come over for dinner. An informal letter, for example, can be one where you are to write to a friend planning a vacation. What kind of essays are there in IELTS Writing Task 2? You might be asked to write opinion essays, argumentative essays, discussion essays, agree or disagree essay, etc.